X-max is a new single extruder 3d printer with many cutting-edge technology features and is applicable to families, schools, 3d printing fans, and businesses. 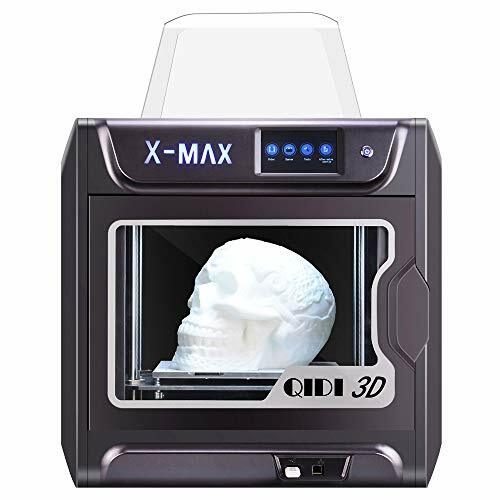 X-max is an advanced industrial grade 3d printer made by QIDI TECHNOLOGY. X-max is able to print giant size model, and it is apply to make complex project production. The printer is great to manufacture industrial product and model production. 1.Pull rod filament spool holder suitable for most filaments which in the market. 2.When finished printed model,the printer will shut off automatically. 3.Breakpoint printing.The breakpoint can be saved and the printing can be continued later. 4.Removable Plate:The plate can be taken out and bend to remove the finished models. 5.Wifi connection&PC computer monitoring interface. QIDI TECH Professional Amazon after-service team,if you have any problem about our 3d printer,we will reply to you within 24 hours.Free one-year warranty.